Fueltek are Market Leaders in the provision of fuel management solutions to the commercial transport industry. We are experts, we design, develop, manufacture, install and service a complete range of fuel management systems, fuel pumps and fuel storage tanks..
We supply a wide range of ancillary equipment for the commercial re-fuelling industry to complement our own product range. We are in control of any product we supply and can offer professional sales and after-sales service. Fueltek are a privately owned company staffed by people with many years’ experience of the commercial vehicle re-fuelling industry. We design, develop, manufacture, install and service our own products. Fueltek offer reliable products and versatile systems that are uncomplicated, robust, and easy to use. Fueltek provide first class products and first class customer service. When you become a Fueltek customer there is no reason why you should not be one for life, we have a policy of upgrade rather than replacement, we do not make unnecessary charges for software licenses, or charge for additional users, our on-going support and service contracts are sensibly priced, all our efforts are geared to make you happy with the experience of being a Fueltek Customer. Fueltek design, develop, manufacture, install and service a complete range of fuel management systems and fuel pumps, we also provide a complete and comprehensive service to the commercial transport industry. We can supply products individually or as turn-key packages. Fueltek are market leaders and have a wide range of products that, using our expertise can be tailored to meet your requirement. Fueltek put the customer first. This is reflected throughout our business. Our credentials are second to none and while we have worked with and provided solutions for some of the UK ‘s largest and well known organisations, we are proud to retain the ability to provide a personal and friendly service to the smallest company. We are experts in our field and can offer help and advice on all aspects of your re-fuelling operation. Fueltek have many satisfied customers gained over many years. We always try to design simple hardworking products and install and support products to your satisfaction. We cannot claim never to make a mistake but always try to rectify mistakes or shortcomings immediately. We will always put your interests first. “We have used Fueltek equipment for many years now on multiple sites it has proved reliable and provides us with the information we want when we want it”. 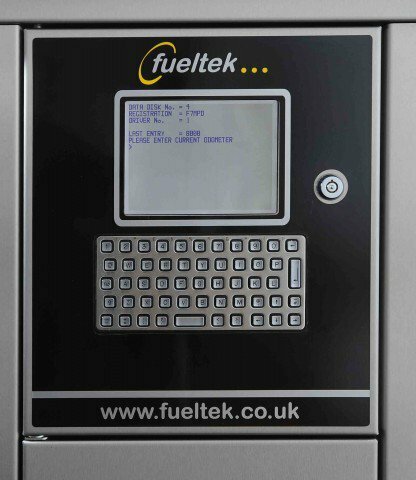 “Fueltek delivered a fuelling station with datatag and associated fuel management software. The project was Inclusive of civil works, as well as the supply and install of fuel tank, fuel dispensing and associated software systems, the project was delivered on time and on budget”. “Kingspan Environmental Ireland Ltd, have had an ongoing business relationship with Fueltek since 2006. We have found them a very professional company to work with”. “Extremely reliable and easy to use product. Suits our needs perfectly”. “Excellent installation, very qualified engineers”. "The quality of the product is good and it does what is says on the tin". “From my first contact, FUELTEK were very informative, they gave me alternatives and helped me decide on the best package, they made me think outside the box, and it has turned out to be a very good decision”. “We Installed a 45,000 ltr Fuel Storage Tank complete with fuel pump, fuel management system and tank management system, we are very pleased, it does just what Fueltek said it would do”. “Following extensive research we awarded Fueltek a contract to supply install and service their equipment and software on seven Great Bear Sites. Fueltek have proved to be a good responsive partner in an area of our business where accurate control and reporting is essential”. Fueltek offer the best in after sales care and customer support. Fueltek helpline staff will ensure your call or query is dealt with immediately and co-ordinate a site visit by one of our field engineers if necessary. Our help line will also assist with general queries regarding the day to day running of your Fuel Management System or re-fuelling operation. All Fueltek products are covered through our fully comprehensive warranty. 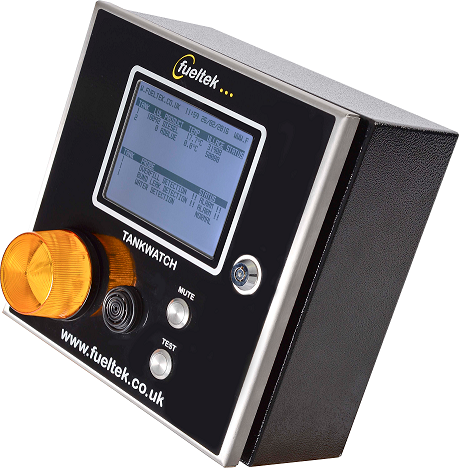 Fueltek products are capable of remote diagnostics, very often if your system has a fault we will be able to diagnose and fix the problem following a brief telephone call. Fueltek provide support for all our products through a regionally based nationwide network of field service engineers. Field engineers are assisted in-house by our help line staff.